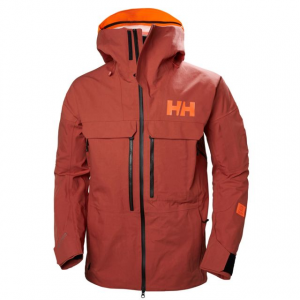 Helly Hansen Men's Apparel Clothing Alpha Shell Jacket - Mens Grenadine Small 65596_135S. 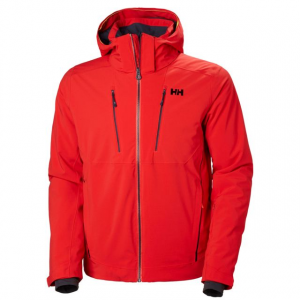 If you're looking for a do-it-all ski shell with everything you need to help you take on the biggest hills and the gnarliest terrain, look no further than the Helly Hansen Alpha Shell Jacket. 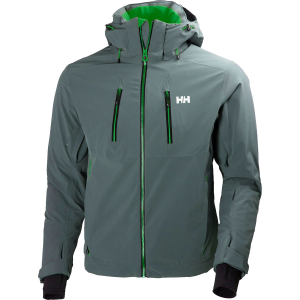 A non-insulated version of Helly Hansen's popular Alpha 3. 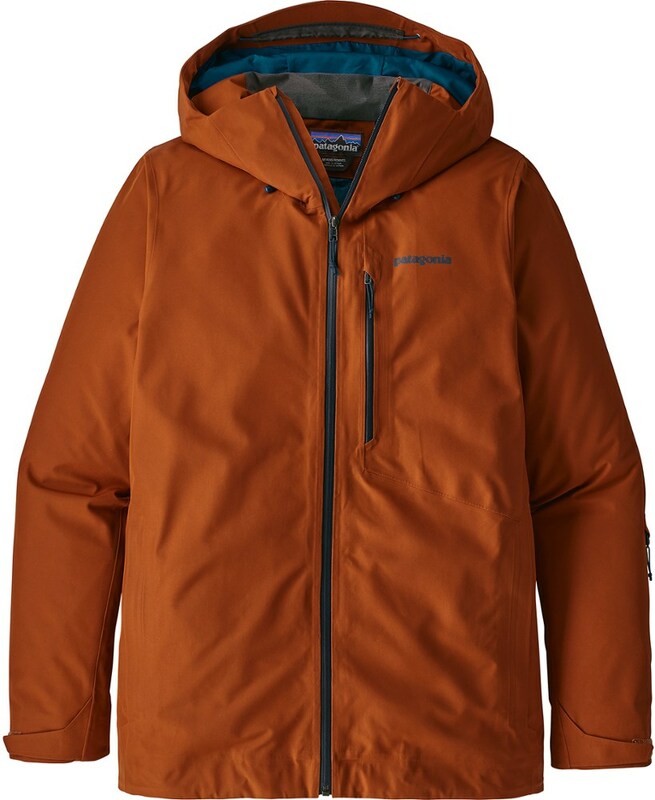 0, this jacket is a lightweight alternative for those seeking out heart-pumping lines and side-country pow stashes. 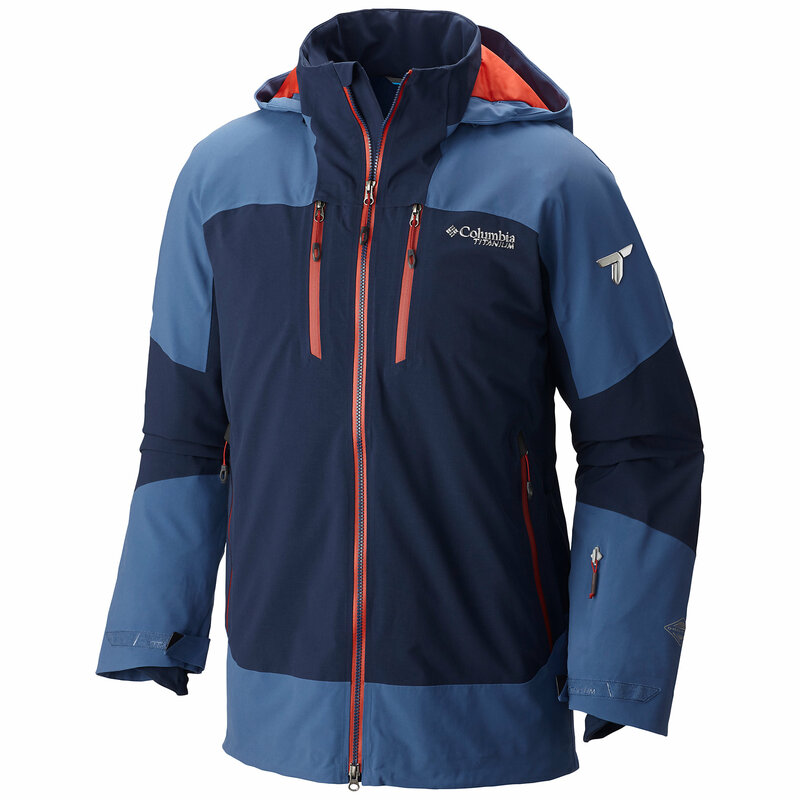 The three-layer stretch fabric gives you all of the movement you need when you're hiking to new terrain or bouncing through knee-deep powder fields, and it's also totally waterproof and plenty breathable, ensuring that you can stay dry and comfortable through it all. You've got plenty of features to boost your comfort and performance on the slopes, starting with a pair of underarm vents that cool you down when you're working your way through some car-sized moguls, and a snap away powder skirt that keeps snow out when you're gettin' deep. The hood is helmet-compatible so you can keep your noggin dry and safe at the same time, and features a foldaway brim for greater visibility in stormy conditions. 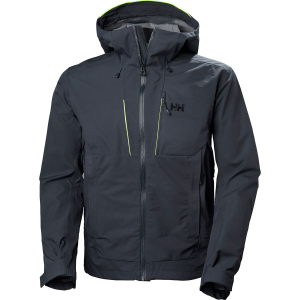 This jacket also features Helly Hansen's innovative Life Pocket, an insulated pocket designed to keep your phone from dying in cold weather, letting you keep your huge lines well documented. 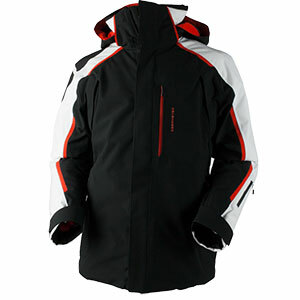 There's also a few more inner and outer pockets, as well as comfortable thumbhole wrist-gaiters that keep snow and wind from sneaking in between your glove and jacket.